When I met my husband I had this vision of going to college to do wildlife rehabilitation. I wanted to travel the world living in huts, helping animals and photographing my journey. Well, 20 years later here we are, living in a small cabin the woods with critters of all kinds, 10 wild children and I get to photograph it all. Sounds perfect right! For the most part it is.. But its not easy. We have ideas and the ambition to achieve them, but we also have roadblocks. Discouragement. Frustration. At times its hard to stay focused and hopeful. We live in this catch 22. We can live out here and build our homestead slowly.. very very slowly, or we can stray from our goals, put our kids in daycare/school and we can both do the 9-5 rat race we are trying to escape. In a few years time would could save up enough to get a good head start.. But we don’t have a few years. Our oldest is closing in on 16. The others are right behind him and I regret not doing this sooner..I feel like I have robbed them in some way. For so long we talked about doing this but held back.. We kept saying “Once we get this, or once we can to that” Tomorrow. We kept living for tomorrow. Last fall we decided to go big or go home. Live today. So here we are.. We were unprepared for winter.. We knew what to expect but we lacked resources. Our first week of the winter cold we slept in our van, waking up to frost on the seats we had put outside, we had to hurriedly put in the van so they could drop me off at work. We finally attained a propane heater it wasn’t sufficient for our cabin, but it made do. And we burned through a lot of $$ with it. It wasn’t till mid November we were able to scrape up the $500 to finish the chimney for the wood stove. We stayed warm most days.. I had hoped to have the cabin insulated by winter,but funds were not available. They still aren’t. We lived off my very small income and a few donations from friends and our church. We have a long list of “needs” and only a few are being attended to. But we will get there.. I have to learn patience. I guess this is my lesson. Patience. My faith has been tested in all areas. I have been inactive at church for over a year, but I personally have abandoned my faith in general over these past 8 months or so. Maybe I will find my way back into a relationship with God, maybe not. I guess I need to work on faith as well.. But the purpose of this.. 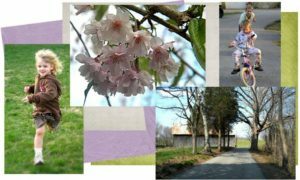 The homestead, the blog, everything, its not about me.. I need to stay focused on that.. Its for my children.. Its for others who want to live free. For those that want a peaceful life. We want to help others, whether it be part time vacationers, or full time residents, I want the homestead to be open to others who seek the same things we do. We have had others show interest, but none who have been willing to commit.. I hope to be able to share more. I feel I have been glossing it over. Its hard not to live in fear. Not just fear of failure, but fear of sharing it. Not just fear of how others will see me, but how others might act. It seems the more I try to find peace, the more others seek to do us harm. Over the next few months, I am going to work on my first goal. Setting up an information center.. This blog. So that I can follow our own progress( and failures) and share it with others. I am also working on setting up an online store to sell whatever we can muster up.. Whether it be home made projects, art, food or second hand items to sell, or services we can provide, we want to explore all avenues of sustainability. And we love to barter. I appreciate feed back. If there is anything on particular interest to you, let me know.. I can always use inspiration for a blog post! If you feel inspired to donate, you can pay pal us Blessedlittlehomestead@yahoo.com or message us about tangible items or gift cards. I have been quietly following your blog now for quite sometime. I think what your family is doing is awesome. My husband and I have considered similiar ventures but so far live in fear of taking the leap. I also fear that I will somehow take things from my children by living off grid. I would love to homeschool my children but here, in NY State homeschooling laws are strict and I fear failure. You are very brave to have made the leap. I love reading your blog and hope someday to break free from the maybe someday thinking and just make it happen. We are hoping to move to southern indiana or kentucky in the near future if my husband can find work. Never give up…your doing amazing things. Out of every one I have met on the internet you are the most real, honest, thinking person I know. I love that fact that even though we differ in some aspects of life we can still be friends. I admire you and respect you more than you could even imagine. You have changed me in so many ways for the better. In no way have you failed your kids at any point. They are some of the happiest, smartest, creative kids. A cookie cutter so called perfect life most often does not bring that out in children. As for insulation are there homes around there that may be being demolished that may let you take insulation from the site? Do not give up on your dream. Life is about stepping stones. You are there and you have come far. You have over come things most of us would have buckled at the knees. You are all strong and strong willed. As for your faith. There are times I question mine. However I have discovered that god is every where. He after all is the creator of all things. He did not create buildings so I am sure he will not mind in if sit in his sun shine, under his trees and pray. He is there Nicole. He may not always answer us as quick or with what we need at the moment but he is there. I know lately you have been knocked around by life. I think we all reach a age when we see how fast live slips through our fingers and wonder about the goals of our youth. I wish I had some magic word to make the road easier but I don’t–more often than not life is hard work. I do not think God always provides for those who believe–I think God provides strength for those who believe but even believers go through lack, sickness, and hard times… You know I am good at offering my opinion and frankly “church” and “relationship with God” are not even close to the same thing…church is an organization that provides moral and spiritual support for/from imperfect people. That said I think the people of the “church” should be striving to live and grow in Love–not power and control. I hope/pray you will find the right group of imperfect people who will Love you and support you and your family. People who will inspire you–not judge you– to enjoy live even when it is hard because they will be there holding your hand. As for your relationship with God…Every time you hold your child or snap a picture you are in relationship with God–hold that feeling…remember, no matter how you think/act/kick and scream you are always in relationship with God so go right ahead and be mad, tell it like you feel it–God has heard it before and God can “take it.” God will not leave you. We are told to have faith and trust God–don’t carry our troubles ourselves but give them over to God. I would say that the best next step you could take right now would be to be as brutally honest as you can with God–all the anger, disappointment, fear—everything you can think of…write it all down. Take all the time you need…the Biblical number 40=as long as it takes… and when you know the time is right take all you have written and watch it burn in the fire– the flames and the smoke carry all that is weighing you down, standing in your way, your attachment/control go out of your live and trust God to fill it. 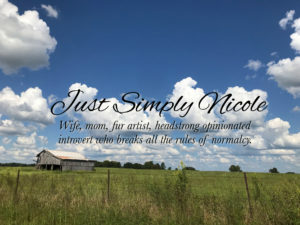 Nicole, I have always enjoyed reading your blog. You always share such interesting things and wonderful pictures.